ALIQUIPPA, Pa. -- The death of a young woman who was gunned down overnight in her family's driveway in Aliquippa, outside Pittsburgh, has been ruled a homicide. CBS Pittsburgh reports that after returning home late Sunday night from an ice cream shop, Rachael DelTondo stepped on to the driveway of her mother's Buchanan Street home and into a hail of bullets. "I counted six shots that I heard," said Fred Poore, a neighbor. The 32-year-old school teacher was shot and died in the driveway. 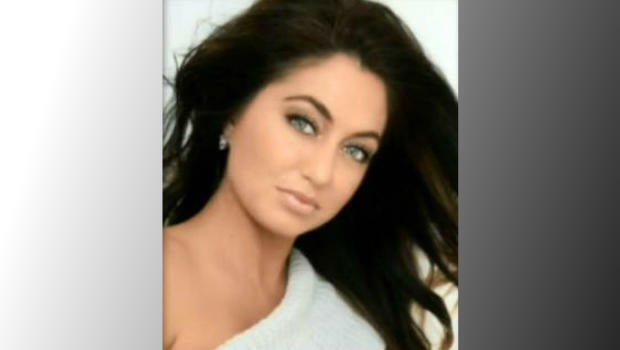 The Beaver County Coroner's Office has ruled DelTondo's death a homicide, saying she died of multiple gunshots to the chest. "Very, very nice girl. Prime of her life, and this is what happens," said neighbor Philomena Rossi. It's a shock and a mystery to neighbors on the quiet street. "I don't know why that happened. I really don't," added Dan Casper, another neighbor. CBS Pittsburgh met DelTondo last year when she was the subject of a CBS Pittsburgh report as a bride-to-be in a dispute over her custom wedding dress. But the engagement was broken off, and months later, she was the victim of confidential information leaked from the Aliquippa Police concerning her and a former student. That information led to a suspension from her teaching job at Pa. Cyber. But sources say it also prompted a state police investigation of the Aliquippa Police, and that DelTondo cooperated. It's not clear, what, if any, this turn of events has to do with her murder. Neither the Aliquippa Police nor the Beaver County District Attorney's Office would comment on the investigation, or whether any suspects have been interviewed. Meanwhile, friends and neighbors are struggling to make sense of what appears to be a senseless crime. "Beautiful lady, friendly, knew everybody, talked to everybody," said Casper.